Nadia Payet has had a long journey — literally and figuratively — to graduation. Payet is a native of Réunion, a tiny French island in the Indian Ocean, more than 10,000 miles and two days of travel away from Corvallis. 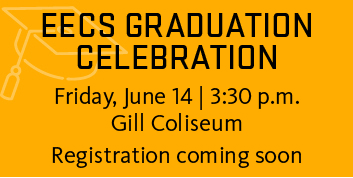 And her journey to graduation has taken a few twists and turns along the way. Payet was lucky enough to travel to several countries before she even finished high school: France, Greece, Germany, Australia, Canada and the east coast of the United States. So the decision to attend school in Oregon was not at all daunting. She arrived at Oregon State University in 2004, as a graduate student in computer science on an exchange program. Originally slated to be in Corvallis for just six months, Payet fell in love with Oregon and decided to continue her studies at OSU to obtain a PhD in computer vision. And then the bottom fell out from under her. Three years into her program, Payet’s major professor left OSU and she was unable to continue her research with him. And although the other computer science professors at OSU were very supportive of her, their research interests and projects didn’t match up with the work she had been doing, so none of them were able to take her on as a graduate student. 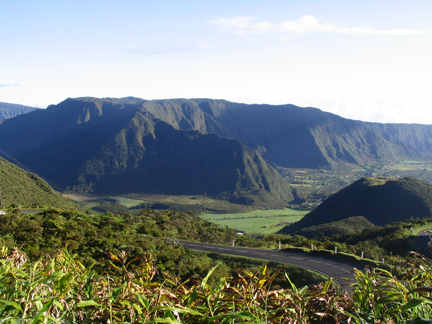 Réunion is a tropical island in the Indian Ocean, east of Madagascar. It is one of the 27 regions of France. Encouraged by friends, family and the computer science faculty, Payet continued on at OSU in a holding pattern for the next year and worked with professor Tom Dietterich on one of his research projects. Payet’s research specializes in object recognition — something that is easy for people to do, but not so for a computer. Looking at a photo, a person can easily identify a chair or a desk. 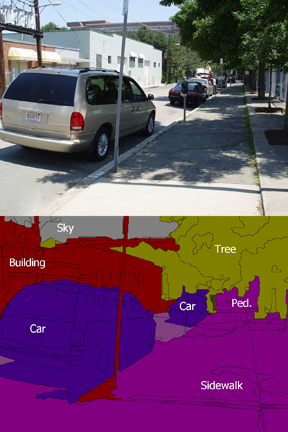 Object recognition gets computers to “localize” these objects, label them, and “understand” what it looks like in 3D (i.e. that the side view looks different from the front view). Traditionally, object recognition has been done by having computers analyze the colors in an image: a basketball, for example, is easy to recognize by its color. Payet’s research gets computers to look at the shape of objects. Nadia Payet's research helps computers identify objects in images. Many cameras already have face recognition capabilities built into them so that the image focuses on people, rather than something in the background. In the near future, more detailed face recognition capabilities could be used, for example, at airports to identify individuals. 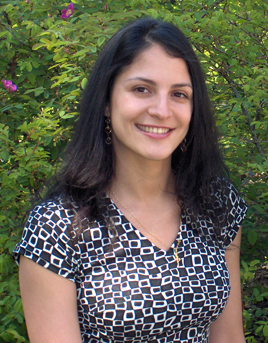 In each of the three years she has worked under Todorovic, Payet’s research has been recognized by the computer vision research community with many publications in famous conferences. Payet was also recently chosen as one of approximately 20 students nationwide to present her work to senior members of the research community at the “Doctoral Consortium” of the IEEE Conference on Computer Vision and Pattern Recognition. Her journey at OSU has taken seven years, but Payet says it has all been worth it and she is grateful for the people at OSU and in the community. She will take the lessons she has learned in the classroom — and in life — to her job at Amazon in Seattle, to work in a research lab on the Kindle.